30th May 1980 - Sees the sale of the painting by Turner "Juliet & Her Nurse" sell for $6.4 million. 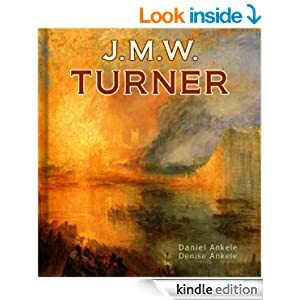 The painting itself had already been owned since 1836 when it was painted by eight people including Turner. This sale was in fact the highest any artwork had sold for at auction. The book I am going to recommend this week is this one, which is an eBook and available from Amazon. Whilst not absolutely historical fiction, it does give rise of interpretation of how Europe was during this period. The painting itself was painted whilst George III was still King, Victoria still a Princess and even though we can allow for some artistic license, we get to ponder the question. Is this what it was like? The preview of the book does list the pictures that are contained within the eBook. It is fascinating (or is it just me that thinks that?) to look at a painting of a spot you know and compare the image to the current reality. Is there a glimpse of truth or is it artistic license, or even a combination of the two?